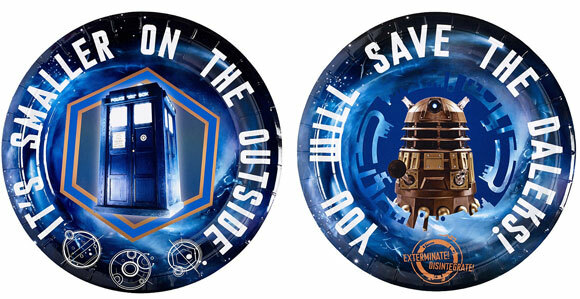 Lakeland, the home of creative kitchenware, announces the exciting launch of its new and exclusive range of Doctor Who themed baking products, just in time for the Doctor’s 50th Anniversary this autumn. Lakeland may not know much about time travel, but when it comes to baking, they’re the experts. 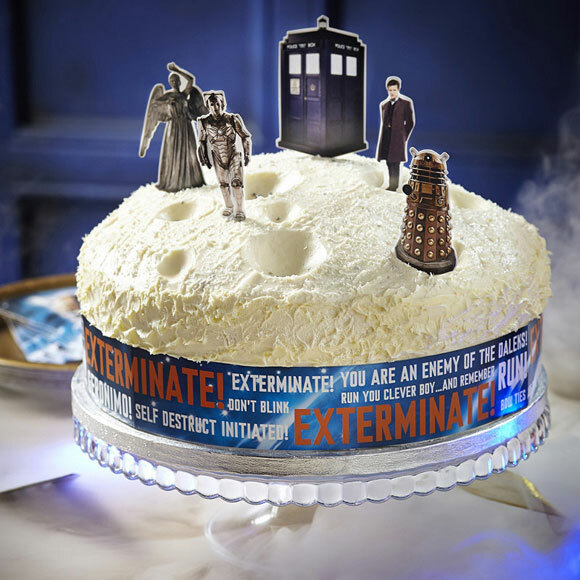 They’ve used their expertise, working in partnership with BBC Worldwide, to develop a themed selection of items to take baking to a whole new dimension. Their out-of-this-world range features all the best-loved (and most-feared) characters and will delight fans young and old. What better way to celebrate his 50th anniversary than by throwing a Doctor Who-themed party? 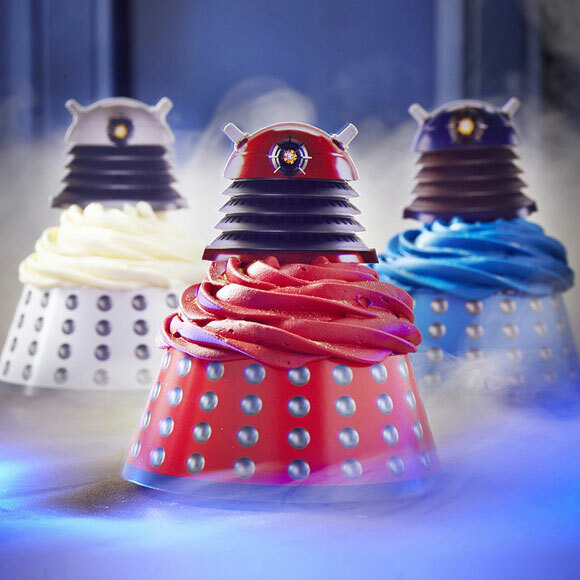 You’ll find everything you could possibly need in the Lakeland range from a 3D Dalek Cake Mould to a TARDIS cupcake kit and even wraps and toppers to help create your own edible army of Daleks. Prepare to make, bake and exterminate! 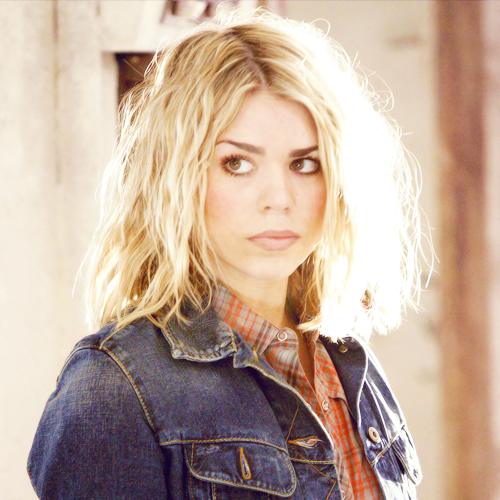 I know we have an 'Edible Doctor Who' thread, but with this being a whole range I figured I would add it seperately. 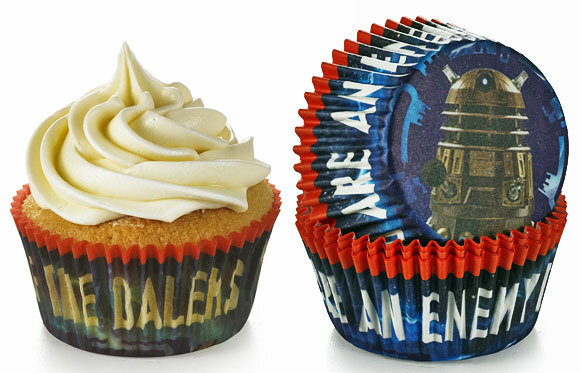 Disguise your cupcakes as delicious Daleks! The stars of our front cover, a batch of simple cupcakes can be easily transformed into a host of the Doctor’s arch enemies. 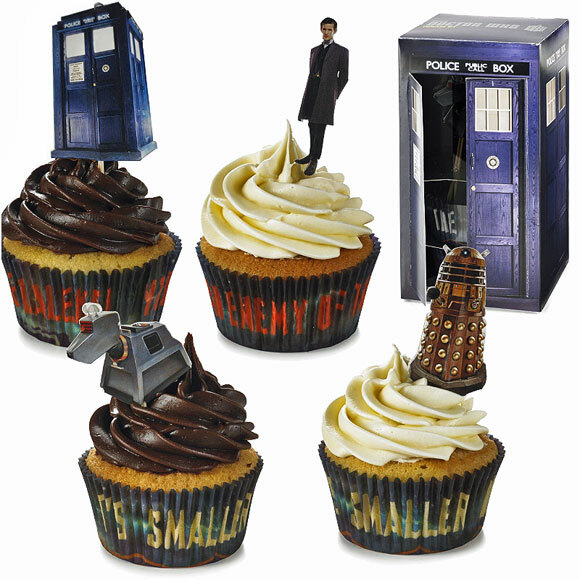 Coming in a TARDIS box, you’ll find everything you need for beautifully presented Doctor Who-themed cupcakes. Comprises 24 cases in 2 designs and 24 toppers in 4 designs. Saturday night. 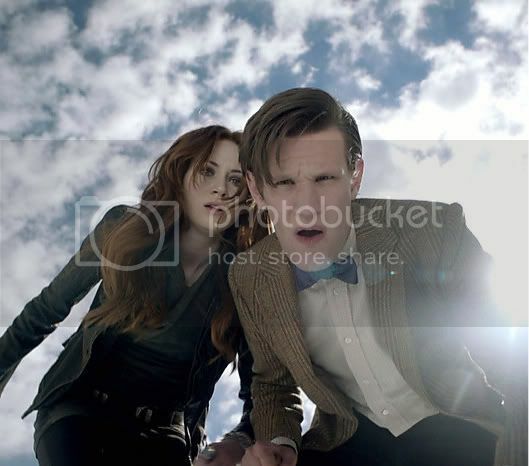 That unmistakeable theme music blasts from the TV, the iconic police box floats through space and 50 years after they first began, the time-travelling Doctor’s adventures are enthralling a new generation. Indelibly etched into British popular culture, Doctor Who is more celebrated than ever, and here at Lakeland we’re delighted to bring you a brand new and completely exclusive range of exciting products this autumn. 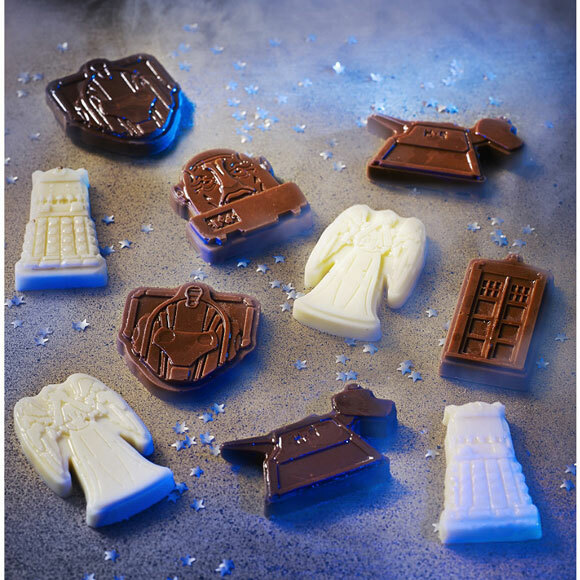 Our TARDIS-shaped, flexible silicone mould will pop out 12 perfectly formed Doctor Who characters in 6 designs. 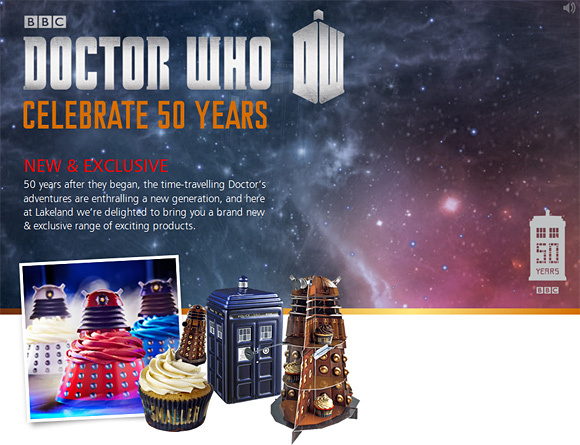 I think they might have had me from 3D Dalek cake mold & if I don't get one my mate will - he loves baking cakes. Even wannabe Time Lords need to let their hair down once in a while, and what better way than to throw a Doctor Who-themed party? Our exclusive disposable paper and card range will delight fans young and old. Now, bring on the fish custard and party on! 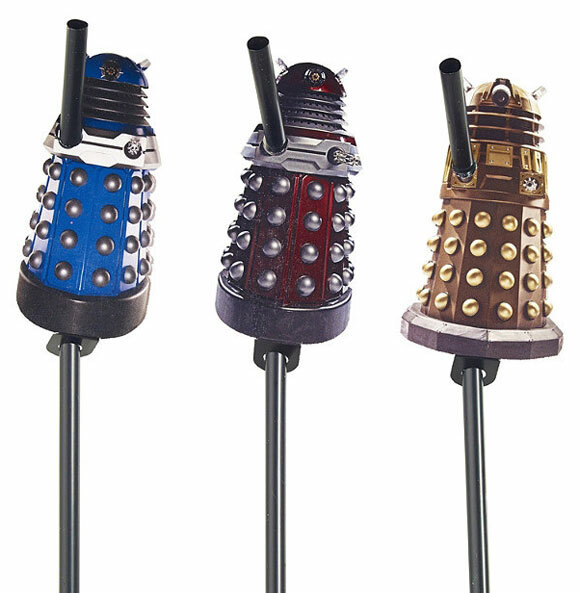 With Dalek toppers, 8 of each colour. A magnificent centrepiece for presenting your Doctor Who cupcakes, this 3-tier stand is made from sturdy card so can, with care, be regenerated for future use. 30 x 32 x 49cm H. (12″ x 12½” x 19¼”). Everything you need to present your centrepiece cake in style. Comprises band to fit cakes up to 28cm (11″) Dia. and 7 toppers in assorted designs. Problem is... If I got them I'd never want to use them... Or I'd want to keep them in good condition to use again! OMG This stuff is awesome! I wish I could bake. I absolutely love to bake so I feel that I absolutely need to own these products!!! And although they don't seem to be available here, it looks like there are stores that will ship to the US. YAY!!! 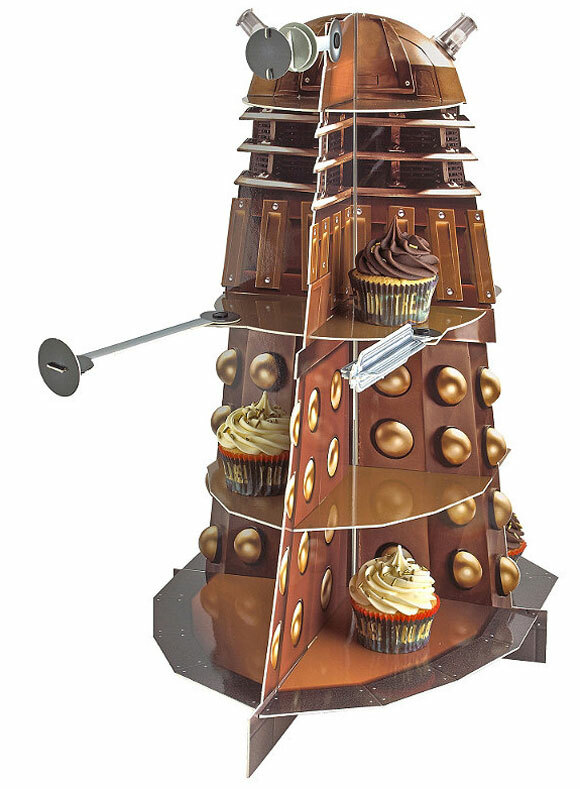 Nothing's more frightening than a cupcake Dalek!